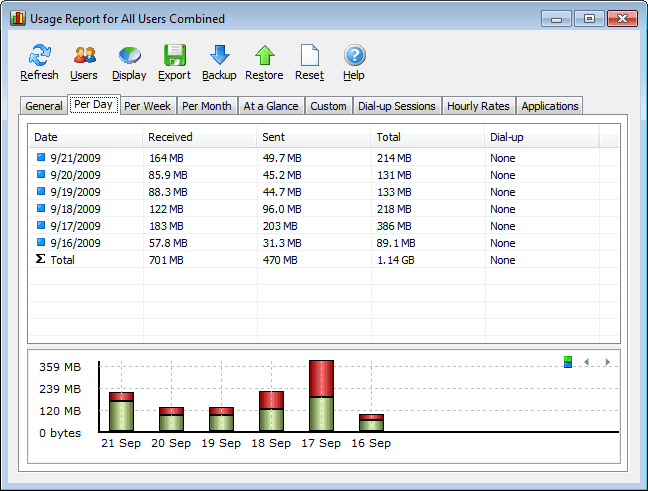 Networx is an application which shows the uses of your internet data. It will show you exact speed what your computer is getting. It shows the Uplink and Downlink speed. This is really a very good software for internet users. You can get it for free for lifetime. You can download it from below button. See the below image to know how it is displaying internet speed. In above pic the setting area and the downloading and uploading speed at the current time is showing. In this pic you can see the uplink and downlink data you have used on the day with day-by-day report. You can download it from the below button for free full version for life time. No any reg required.